I am painting all of the interior of my little cottage. 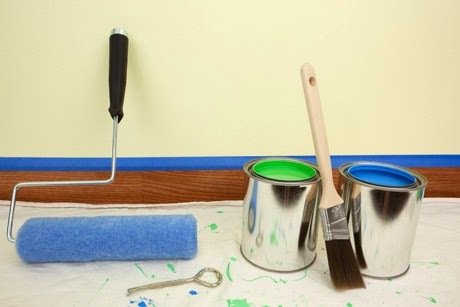 Painting has to be done right---or you will have a mess when you finish. This requires cleaning off the dirt--filling in the cracks---smoothing out the roughness before ever dipping the brush into the can. You do not start rolling on the paint without cutting in the edges and corners first. Then it is time to roll on that coat in the middle. There are times you have to put a coat of primer on first--thankfully paint is now made with primer included which helps cut out a step. 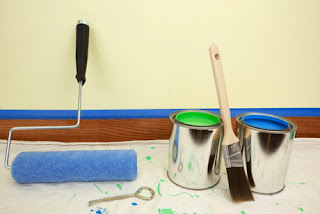 Depending upon the surface you are painting, you may need to put on two coats sometimes three, but at a minimum you have to go back and touch up where you may have missed. It all has to be done using the correct procedures or it will look worse than before you began the process. I have known certain unnamed early teenagers who would roll deodorant over a sweaty and dirty body. All for the sake of not incurring their mother's wrath -- which they incurred anyway since she was NOT a dummy! Sweaty - dirty body coated with scented deodorant does NOT mask the dirt underneath. There is no substitute for cleanliness. 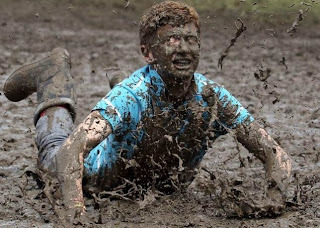 To give the impression you are clean--you must bath--WITH soap and water--then perhaps roll on the deodorant. We women love to put on our makeup. I have an entire bag of goodies used to convince others that I look better than I do - sans makeup. 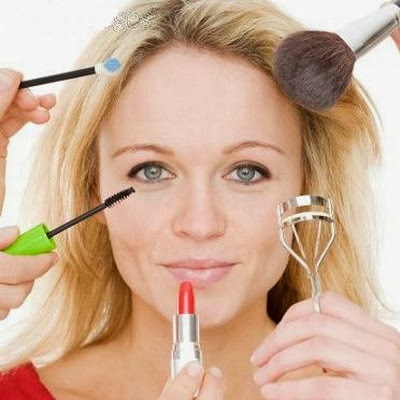 Makeup is fine and good, but unless you drink enough water, eat a balanced diet, exercise, and generally take care of yourself---what is under that make up is NOT so pretty. You need to start with a good base before applying the war paint. This reminds me of our walks as Believers. Pharisees are known for standing on the street corner and proclaiming their beliefs. The truth is---our actions--are the image that others observe--ALL of our actions. For me to sit here and proclaim my love and reverence for The Father--gives little indication of who I truly am. My life is the base layer that all are observing---and it is the truth about my love for The Father. There is no way to mask the truth of whom I am by applying a fresh coat of ink on the page. I need to follow the steps ---looking to Him---living as He has instructed The first step is preparing my mind, heart, and soul for layer upon layer of His love to be applied--then and only then His reflection will shine through as others gaze my way.